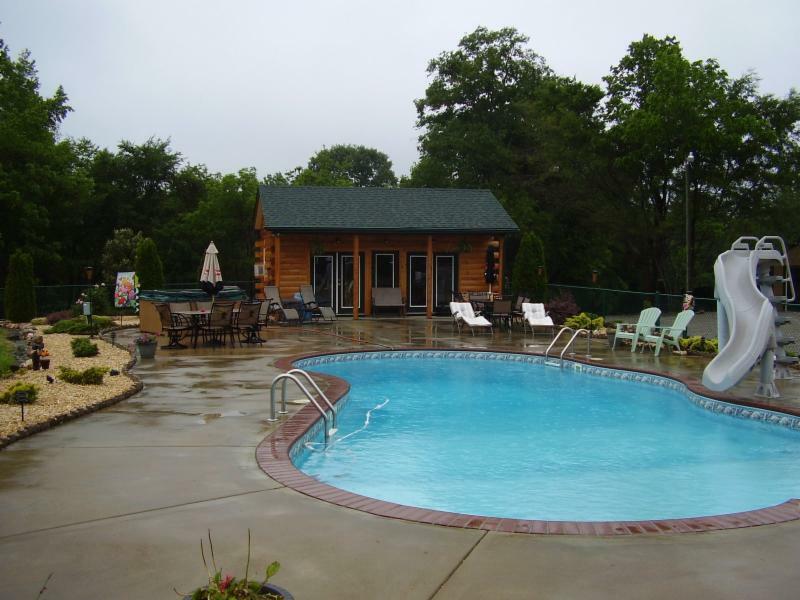 If your dream log home includes an in-ground pool, it makes sense to review some of the questions associated with this improvement. Is your family comprised of active swimmers who will use the pool regularly? An in-ground pool is a big investment in both money and ongoing maintenance. If swimming as exercise, kids participating in swim teams and outdoor backyard entertaining is in your playbook, then a pool may make sense for your family. Is your home located in a warmer climate where pools are common features in homes? Like the caveat of avoiding being the most expensive home in the neighborhood, being the only home with a pool (or conversely without a pool) may affect your resale value down the road. Equally important is the amount of time- seasonally – you’ll actually be able to use the pool. Swimming pool season decreases the further north one moves. Is the family prepared for the changes associate with designing a backyard with a pool? Most municipalities require substantial fencing to keep children from wandering into the yard. Depending on the size of the yard, a pool may not allow for other lawn activities or play areas. Being the only pool may put strains on friendships as guests hoping for a swim push the boundaries. Have accommodations been made in the home design to manage traffic from the pool to the interior? Exterior doors that connect the pool area with carpet or wood floors may not play well with wet towels and bathing suits. A mudroom transition area may make sense to keep pool activities separate from house activities. Or opt for a small pool house for changing, towel drying and housing for pool equipment. 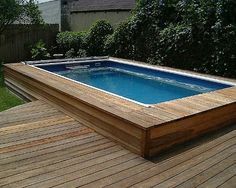 Is a smaller alternative like a hot tub or endless pool a better option? Sometimes going smaller can be a smart move. If exercise is the goal, consider an endless pool, which requires much less space to provide an excellent lap swimming experience. 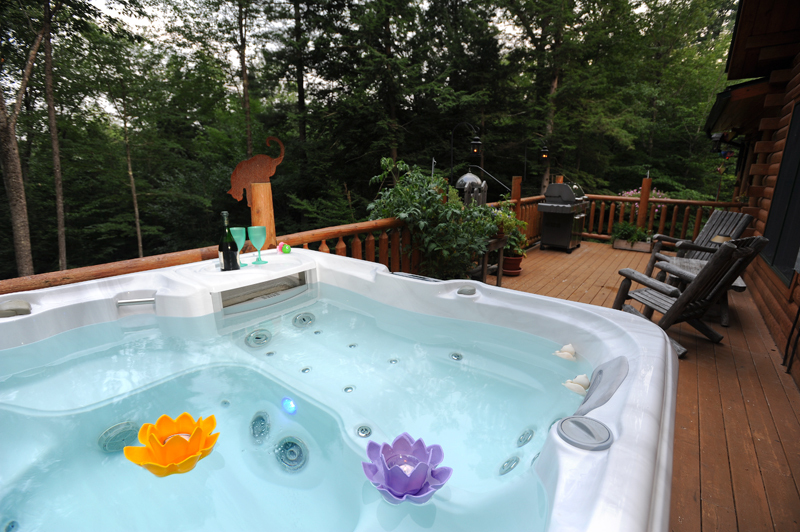 If therapy and relaxation is the goal in a short season, a hot tub or spa might be more useful for the family. Investigate green options for filling, pumps, and heating. A solar hot water installation could provide all the hot water to keep a pool or hot tub toasty. Using a efficiency rated pool pump powered by solar panels can keep noise and overall costs down. If your area is subject to water limitations, consider a smaller sized pool and use covers to reduce evaporation and heat loss. Once you’ve reviewed the options, make sure the design team at Katahdin knows your plans for a pool so that it can be seamlessly incorporated into the home design.